A lightweight, 3-gallon unit is a powerhouse when it comes to applying to fabrics, walls, carpets, upholstery and auto detailing needs. 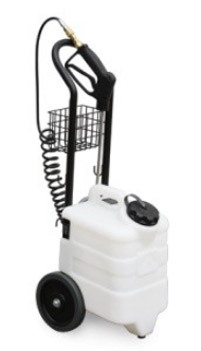 Performance – The unit runs on 240 volts and features a 120-PSI viton pump. Convenience – Includes a 3-gallon tank, easy-grip handle with storage basket, 10’ coiled solution hose and gun, and 25’ power cord. Durability – Built with a tough, roto-molded housing. £450.00 ex vat. Additional noozles @ £10 each. A 220V ULV fogger. Corrosion proof 6 L tank with wide tank opening for easy filling. 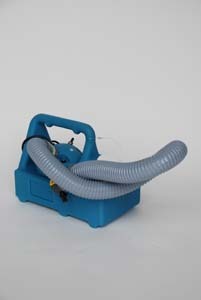 High speed motor, 90cm flexible hose, fingertip output at the nozzle. Proven dependability and quality construction that is easy to use. Also available special order in 110V version. The SystemSURE Plus ATP luminometer hygiene monitoring system is the ATP testing equipment you need to quickly determine the cleaning efficiency and hygienic status of surfaces and water, while ensuring product quality and reducing costs. This ATP luminometer is designed with state-of-the art electronics, upgraded software program and improved functionality. The palm-sized ATP luminometer is easy to use, extremely sensitive and affordable. Used with the Ultrasnap testing devices, the SystemSURE Plus ATP luminometer measures adenosine triphosphate (ATP), the universal energy molecule found in all animal, plant, bacterial, yeast and mold cells.